Home / Learning Centre / How Big Are Chickens? Chickens are creatures that range in size - some can be quite large, others are tiny! When choosing chickens for your flock, taking your chicken’s size into account is important, as it affects how many chickens should be in your chicken coop, as well as what breeds are suited to the size of your backyard. 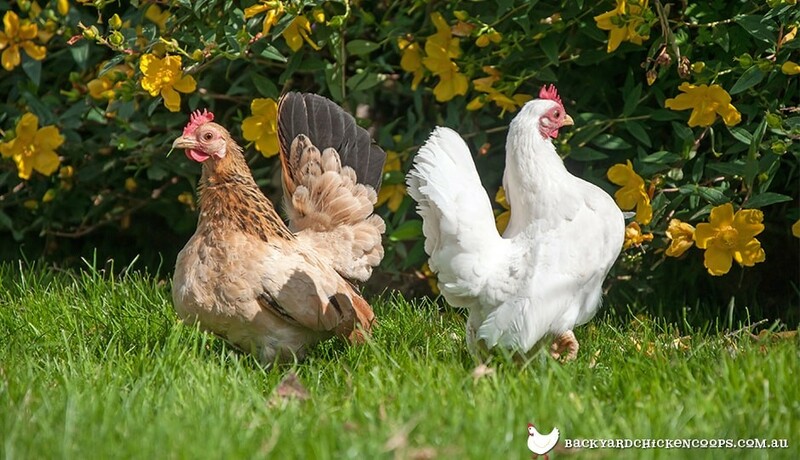 Different breeds come in different sizes - however, it is possible to get some breeds in a ‘bantam’ size, which means a slightly smaller version of the same breed. The Brahma is another of the chicken breeds that are soft to the touch, and make lovely company for chicken keepers who treasure their flock. 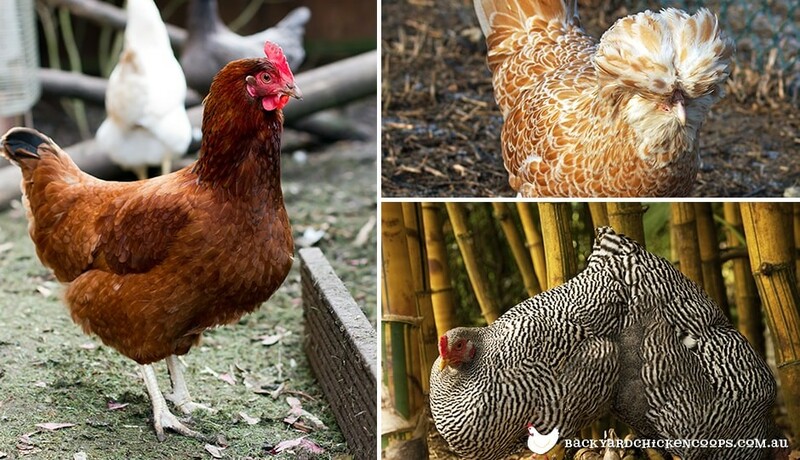 They are known as the ‘gentle giant’ of the chicken world – their gentle nature is as generous as their size! If you don’t have enough room for the standard sized version, there is also bantam version – pint sized perfection! Cochins are gentle, quiet and docile. Cochins are also known to be good pet hens for the garden, as they are tame and regarded as one of the most ‘friendly’ chicken breeds. Cochins are well known as good mothers, even as foster mothers for other breeds. The bantam variety reportedly makes an excellent pet for kids and are apparently the easiest of chickens to tame. Orpingtons are sweethearts! They are extremely personable and tend to connect with their owners much more readily than other breeds. They go broody very often, and make great mothers. They are docile and excellent with children. Rhode Island Reds are the most well rounded chicken of all the backyard flocks! Chances are if you don’t know which chicken is best for your environment a Rhode Island Red will do just perfectly! These chickens lay egg-streamly well, they are highly valued for their meat, they are cold hardy and generally hardy in every other sense. The white variation, whilst equally as quality in its trait doesn’t receive the same popularity as the reds. The Plymouth Rock, often called simply Rocks or Barred Rocks (after their most popular colour), is a chicken breed that originated in the United States. The Plymouth Rock is a dual-purpose, cold-hardy bird and therefore makes a great breed for the backyard flock owner. The Barred Rock is often called the Plymouth Rock, but this title correctly belongs to the entire breed, not just the Barred variety. Polish chickens are bred primarily as a show bird, but were originally productive egg layers. Accordingly, Polish rarely go broody and are noted for their white eggs. Polish are very vulnerable to predators due to their reduced vision so extra care and protection must be practiced to ensure your small fluffy friends stay safe. The Silkie of all the ornamental breeds is notably the most beloved and popular. Entertaining to watch, soft to hold and easy to handle the Silkie is often referred to the lap kitty or the chicken world. It has been said before that the Silkie chicken is simply a ‘flock’ of kittens as they playfully adorn your backyard. The Silkie breed has also be renowned for its motherly behaviour often adopting goslings if in need. The Japanese Bantam, also known in many parts of the world as Chabo, is a breed of chicken originating in Japan. 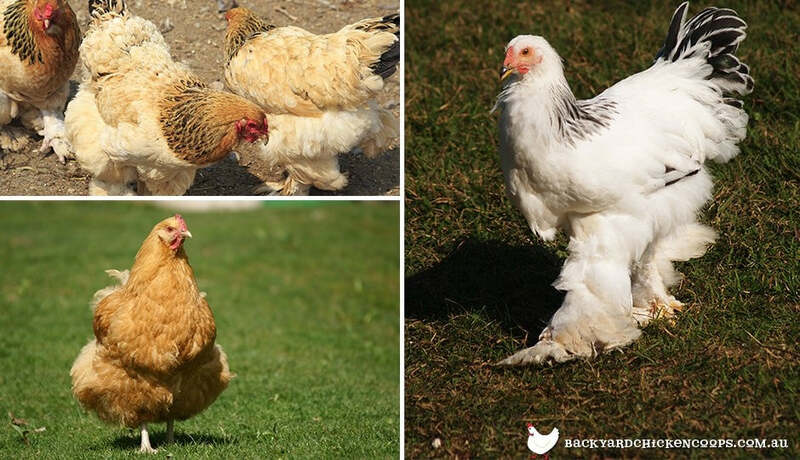 They are a true bantam breed, with large upright tails that often reach over the chicken’s head. They have friendly personalities, and will ride on shoulders and allow themselves to be pet and held by someone. They are easy to tame. They have also been known to be good foragers. No matter what size the chicken is, they’ll all need a safe and secure coop to call home! Check out the descriptions of our Taj Mahal, Penthouse and Mansion coops to see how many chickens they house.